June 2018 monetary policy will be the first time in the last 3 years when the choice for the RBI will be between a status quo and a rate hike. The last decisive policy shift of the RBI was in January 2015. 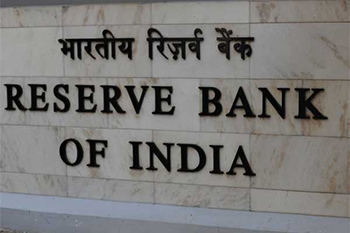 That marked the beginning of a series of rate cuts (200bps), as the RBI tried to ease the monetary tightness. For more than 3 years, the choice in front of the RBI has been between cutting rates and maintaining status quo. June 2018 monetary policy will be the first time in the last 3 years when the choice for the RBI will be between a status quo and a rate hike. As can be seen from the above summary of the MPC minutes, there is almost a consensus on higher inflation. The members have never in the past been so consistent about their hawkish inflation view and the need for a rate hike. Here are 4 reasons why the June policy is critical in many ways and could mark a shift. Last year, when inflation was rising, the MPC had given its first indication of shifting its stance from an accommodative stance to a neutral stance. Interestingly, even after this shift in stance, the MPC did cut rates by 25 basis points in August 2017. The June policy could actually see the MPC putting of the idea of accommodative stance from the available options. While the rate outlook may still not turn hawkish, the MPC could likely indicate a bottoming out of the rate cycle. Going ahead, the debate will be more of neutral stance versus hawkish stance. The June policy could actually mark the shift by signalling the bottoming of interest rates. MPC may indicate that dovishness may not be an option now. The June 2018 policy also stands at the threshold of shifting economics and shifting politics. Growth needs to be supported and inflation needs to be checked. This becomes all the more important considering that there are key elections coming up. There are assembly elections in Madhya Pradesh, Rajasthan and Chhattisgarh and then the big general elections next year. When it comes to items of essential needs, the government will be keen not to let inflation out of hand. That will be a tough task because farmers have to be compensated at 150% of cost of production and that will be inflationary in the Kharif season. A hike in rates may be the best way to get this balance in place. The June policy will have to address the dilemma between higher growth and higher inflation because growth, by default, is inflationary. You can neither afford low growth nor high inflation in an election year. 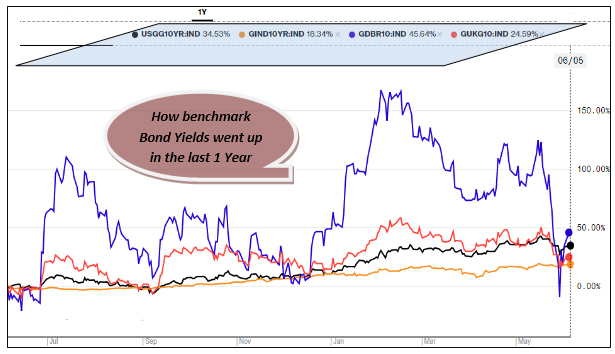 In fact, bond yields in India have appreciated the least in the last one year. RBI is wary of the fact that if the yield differential between the US and India reduces further then it could trigger risk-off trade. Here risk-off means global investors sell emerging market bonds like India and invest in markets like the US and Germany. In fact, FPIs have already pulled out $6 billion from Indian bonds in the last 4 months. The global scenario will be acknowledged as a major factor when the MPC sits down. The actually tipping point could come from the INR. The rupee has weakened on the back of rising trade deficit and capital outflows. A weak rupee is not a good thing as India relies on imports for 75% of her oil needs. Higher trade deficit will mean higher imported inflation. This will have to be matched with higher interest rates, else the rupee will weaken. That is what has been happening. In the last few years, this may be the first time the RBI may take a rate hike decision to stem the rupee fall. That could be interesting!